Reviews for Wolstencroft Kitchens Ltd.
We completely gutted our kitchen in 2013 and selected Wolstencroft Kitchens for the design and installation project. Dave gave us good advice about layout, cabinetry options, granite countertops and under-cabinet lighting, while keeping us within our budget. Communication throughout the project was very good and his installation team did an excellent job. A couple of minor repairs several years afterwards were dealt with promptly. Wolstencroft Kitchens is a great company to work with. They offer a comprehensive, professional, and friendly service and we highly recommend them. Thank you so much for taking the time to write a review of our work. We are always happy to service our work to keep it looking good for you! A great experience from start to finish. On budget on time with excellent results. 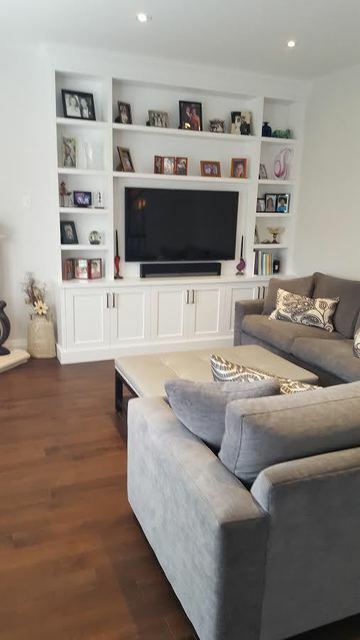 Dave delivered on a 3 month renovation for a main floor and basement tear down and rebuild and we are very happy with the end result. I would highly recommend Wolstencroft for any renovation project. Kirk & Camille, thank you very much for taking the time to post a review of your experience working with us. Thank you very much for your recommendation. Enjoy your new home.. Looking forward to hearing back for phase 3. I had my Wolstencroft Kitchen installed about a year ago. I noticed that one of the doors under the island had big scratches on it from a shoe buckle. Chris came by, took my door and was able to fix the door. While he was a my place, he also adjusted all the doors that needed adjustment. Really happy that they fixed my door at no cost :) My kitchen is wonderful and of very high quality. I would recommend any day! We certainly aim to please! I know how unhappy I would be having a big scratch in my new kitchen, we are happy to keep your Wolstencroft Kitchen looking good! This company was recommended to me by an interior designer and I my experience was not positive. The timeline for delivery was delayed, communication regarding timing of the install was last minute, I was told that the work would take 1 - 2 days it ended up being spread over five days and over a number of weeks. They damaged the wall on install and I had to insist that they come back to fix it. The installers left wood and other materials in my house. Overall not a positive experience and no allowances were offered for all the issues I encountered. Customer service needs to be improved! Dave and his crew were professional, on time and very creative. The work is incredible in terms of look, style and presentation. It is obvious that experience, knowledge and time management are part of this company's philosophy. From the planning, executing and final stages of this project, I only have positive comments to make. It was a pleasure working with this company and i would highly recommend their work / services. Shendy..Thank you so much for the positive words! We all enjoyed working with you. Enjoy your new home. I worked with Dave on an extensive remodel of my kitchen. 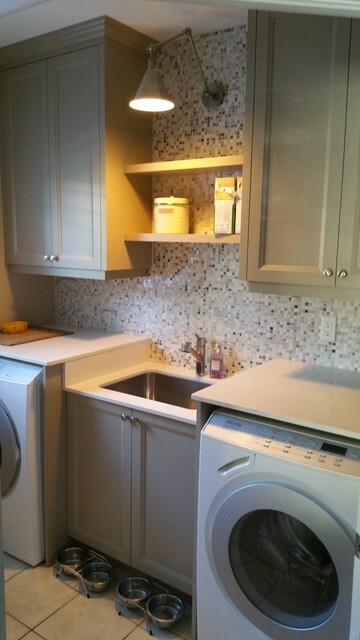 The job involved a completely new layout, re-rerouting the duct for the hood, and replacing all appliances and cabinets. Given the size of the project, I was looking for somebody with a lot of experience who could offer opinions on the overall design and of course execute the work. Dave and his staff absolutely met my expectations. They were extremely responsible, responsive, and they demonstrated excellent problem solving skills when issues arose (e.g., they found a slow leak from the upstairs bathroom, which required some flexible scheduling in order to prevent delays). Throughout the process, Dave provided useful advice that helped me make what I felt were informed decisions on all aspects of the job, from the overall design to specific choices for appliances and hardware. Based on my experience, I would definitely recommend Dave to others. The kitchen turned out really well, and our interactions with Dave and his staff were excellent. While they are not the cheapest option, the quality of the work and customer service were well worth the price in our view. Carol & CS, it was our pleasure to have had the opportunity to work with you! We wish you many years of enjoyment in your new kitchen! On behalf of all of us here, Thank you! From the first moment to the last, David and his team, gave our family professional, courtesy, and true-to-his-word service. David spent countless hours with us, helping us design and choose interiors, and create our ideal living space. He listened and guided our ideas with his professional insight. David presented us with a detailed budget and 3-D images of floorplans and millwork--it was exactly what we needed. On site his staff worked efficiently (the job was done pretty much on schedule), they did not cut corners--instead they never hesitated to correct a problem if needed, and cleaned the job site at the end of the day. Darcy, the head of the worksite team, was always onsite early, ready to share with us the plans for the day, and organize his team. And at the end, we are so very happy with the quality of product and the quality of the workmanship! We would recommend them highly! A sincere thank you to David, Darcy, the office staff, and their on-site team--a commendable job. Thank you so much for your kind review of our performance working together on your renovation. All of us here thank you for counting on us to complete your project. Main floor addition, kitchen Reno, etc. Main floor addition to expand and renovate our kitchen (plus new hardwood in main floor, fixing existing plumbing nightmare, new roof, etc) turned out great! Thanks to Dave, and Darcy with his excellent crew for their input in the design and hard work to finish it off. Would definitely recommend this company to others that are thinking of renovating. Hi Dave & Laura, it was really good to see you again over the holidays. Thank you for dropping in to see us! Still hope you are enjoying your beautiful addition. All the best for 2018. In 2008, we decided to have our kitchen completely redone: new plumbing, wiring, floor, ceiling, cabinets, appliances -- everything. And we needed a guaranteed completion date because we were hosting a major even on an unchangeable day. The entire crew did fantastic work, often going well beyond what we expected to make sure that things were all working smoothly and looking great. When it was all finished ahead of schedule, Dave inspected the new kitchen -- and found a couple of problems we hadn't noticed. He fixed them quickly. We were given a 10-year warranty on all work and materials. Sure enough, when we had a recent mishap with a drawer -- totally our own doing -- he refused to accept payment for replacing it. Eight years after it was completed, the kitchen Dave designed and built for us still looks great and works perfectly. We couldn't recommend him more highly. Thanks so much for taking time to write your review! There was something fishy about that drawer!! glad we could help. Wishing you many more years of enjoyment in your kitchen! 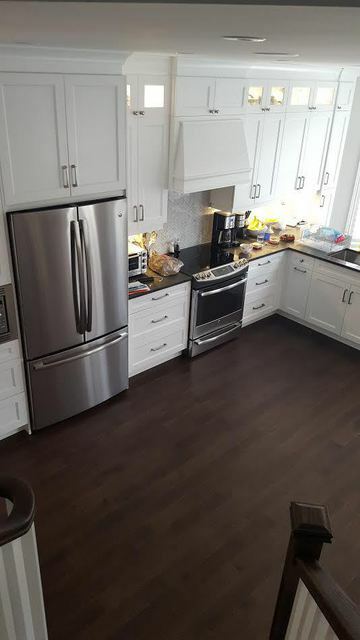 We used Wolstencroft Kitchens and the related home renovation company to renovate our 1,500 sq ft Mid-Town condo over a three month period during 2014/15. It was a very successful project from start to finish. It was a pleasure working with Dave W. and his staff: they were highly professional and delivered what they promised. Dave's design ideas were extraordinarily effective and the build quality was top-notch. We would strongly recommend this firm. Thank you David for taking the time to write this kind review of our work in your Condo. It was a pleasure colaborating with you and Karen to creat such a beautiful space for you to live. I hope you both have many happy years in your new home. More about Wolstencroft Kitchens Ltd.
Wolstencroft Kitchens & Fine Cabinetry is a quality driven Kitchen Design & renovation firm. This simple phrase reflects our total understanding of each client’s needs. We get that you consistently expect superior service. Our team gets that you like to have your expectations exceeded. 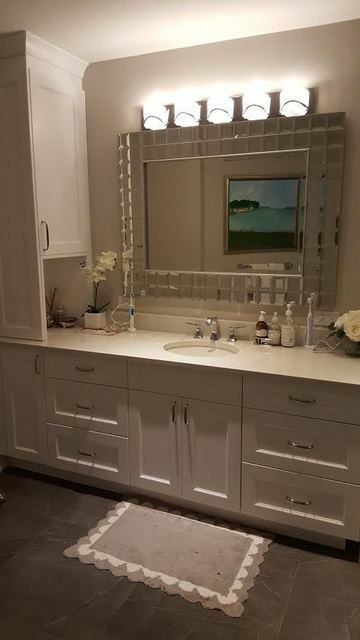 And I get that you want a “go-to” firm in the GTA for all your design and renovation needs. 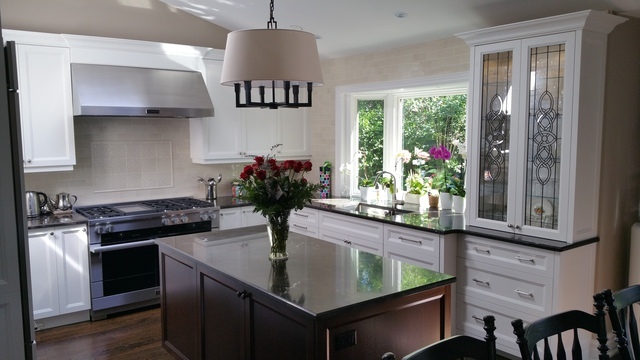 Our mission is to be top of mind in the GTA for kitchen design and project consulting & complete renovation services. Our commitment is to continue building on our solid reputation for high-quality products, trusted workmanship, and superior creative talent. We're not finished until you're happy! 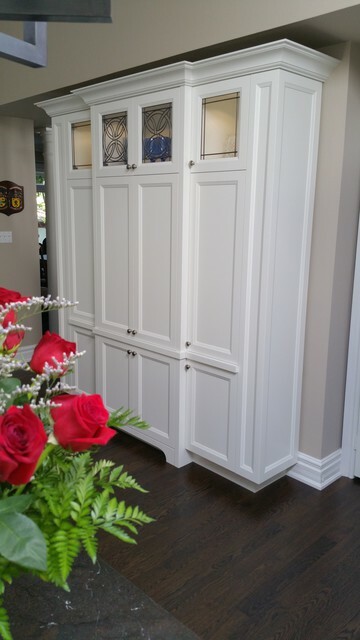 Residential custom cabinetry for every room in your home. Design to completion renovation services. 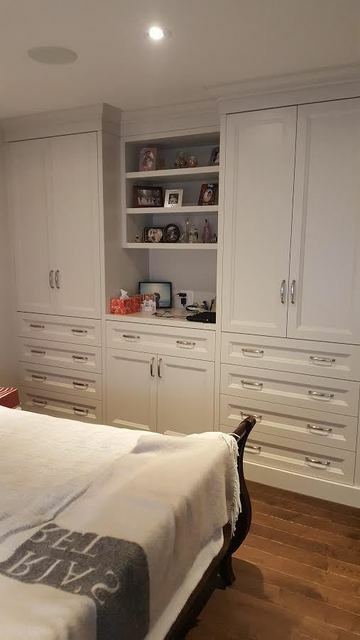 Interior finishing including all aspects of renovations, custom cabinetry & millwork, product consulting. Manufacturer warranty + workmanship warranty for as long as you own your home.